Re: Still in the making, or? 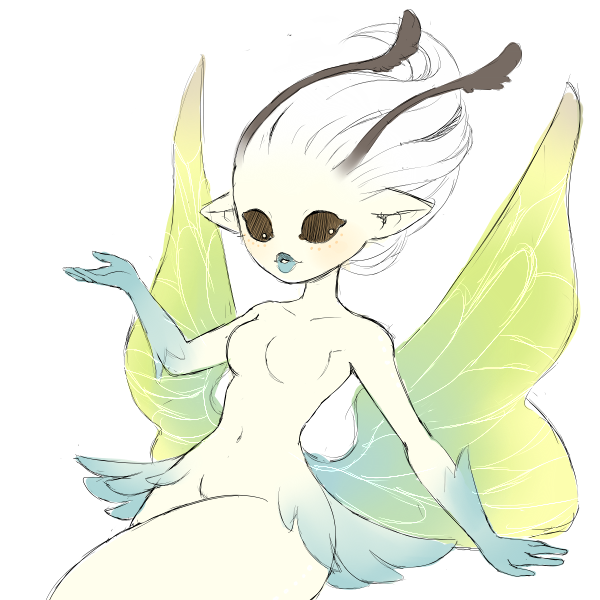 got first sketch for the creatures cards, this is Sylph from the Air elemental creatures. There are 12 creature cards x 6 elements, plus other cards for spells. I forgot the count but Michael (the writer) said they are 114 so I trust him on that information! You torment us. Such a nice picture, and knowing it will take quite some time until the game is finished.